Dr. Naveeda T. Ahmed has been practicing rheumatology in Augusta, Georgia for the past fifteen years as a general partner at the Augusta Arthritis Center. Dr. Ahmed completed her U.S. residency in Internal Medicine in 1999 and fellowship in Rheumatology in 2001, both from Augusta’s prestigious Medical College of Georgia. Dr. Ahmed is a board-certified physician in Internal Medicine, and is recertified in Rheumatology. She puts her patients 1 care as her foremost priority, and is renowned by her patients and colleagues for her relentless patient advocacy and professionalism. While at the Medical College of Georgia, Dr. Ahmed was very well respected by her mentors, peers, and faculty in the Department of Medicine. She considers herself very fortunate to have had the opportunity to work closely with experienced rheumatologists, and the opportunity to build on those relationships today-where she networks with leaders in rheumatology to continually refine her medical expertise. Dr. Ahmed also coordinates a monthly rheumatology journal club meeting at her office, where many regional and local practitioners attend to discuss new innovations in the field and share best practices. She has organized and managed this longstanding local tradition for the past ten years. Born and raised in Lahore, Pakistan, Dr. Ahmed graduated from one of the most eminent Pakistani universities – Punjab University, Fatima Jinnah Medical College – in 1981, with high honors. After finishing her original overseas residency and fellowship by 1986, she practiced medicine in Pakistan for four years before moving to the United States in 1990 to join the rest of her family. 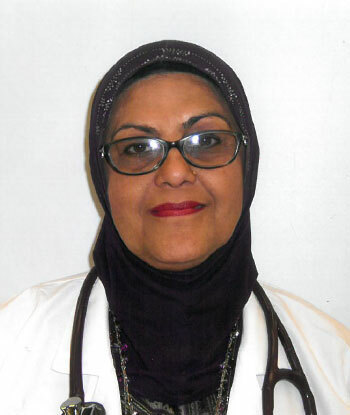 Dr. Ahmed is a member of multiple societies, including the Richmond County Medical Society in Augusta, Georgia, and she actively participates in Project Access, where free rheumatology care is provided to residents of Richmond and Columbia County who lack health insurance. She is also an esteemed member of the American College of Rheumatology, the American Medical Association, the Georgia Society of Rheumatology, the Medical Association of Georgia, and the Islamic Medical Association of North America, among many others. Dr. Ahmed has a daughter and a son. She is fond of animals and has two cats as well. In her spare time, she enjoys gardening, cooking, traveling, and working on home improvement projects, as well as learning the non-medical aspects of practice.